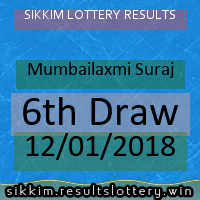 Sikkim Lottery Mumbailaxmi Suraj on 12/01/2018 - Sikkim Lottery Today's Results Live. 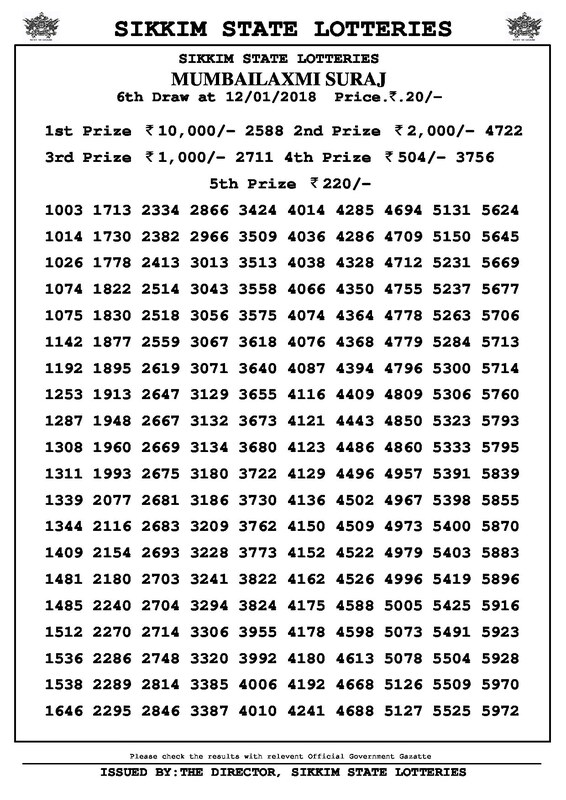 Mumbailaxmi Suraj of Sikkim State Lottery is Drawn every day at 4.00 pm, with first prize of Rs 10,000/-. Today 12/01/2018 with 6th Draw , lucky results are published. Second Prize is Rs 2000/-. Third prize is Rs 1000/-, for this Draw of Mumbailaxmi Suraj.